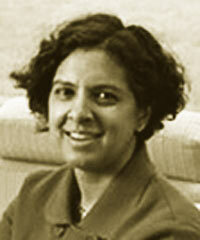 Anita Ramasastry is an expert in the fields of business and human rights, anti-corruption and commercial law and development. Her current research focuses on the accountability of economic actors in conflict and weak-governance zones. From 2009 to 2012, Ramasastry served as a senior advisor to the Assistant Secretary of Market Access and Compliance in the International Trade Administration of the US Department of Commerce, working under the leadership of then Secretary Gary Locke. She directed the ITA's anti-corruption and trade efforts, and helped to launch new initiatives with the G20, APEC and the OSCE. She also coordinated the ITA's trade strategies with new emerging markets such as Vietnam, Colombia, Indonesia, South Africa and Saudi Arabia and developed a new business and human rights curriculum for US trade officers in embassies worldwide.